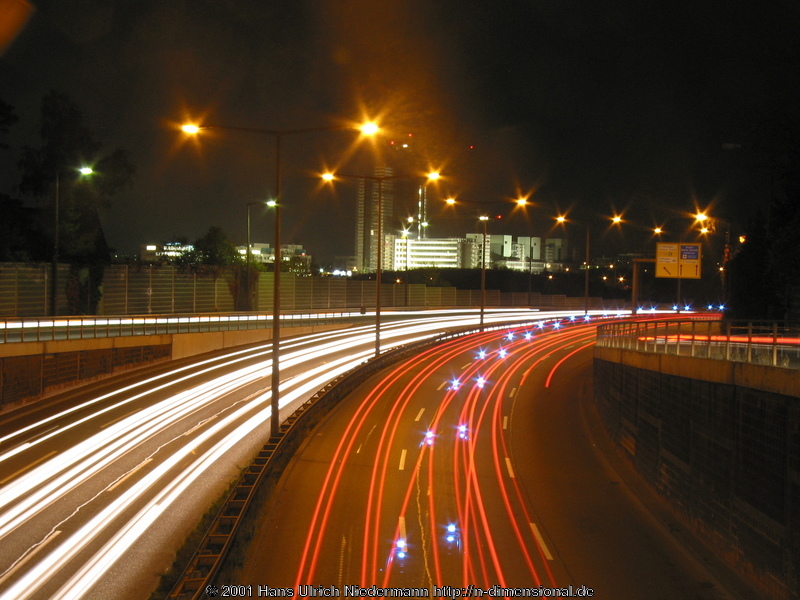 The B14 highway near the Vaihingen Campus of the University of Stuttgart. I had finished taking a series of pictures of the highway, and had just stashed away the camera when I heard the police siren approaching from the distance. I immediately started unpacking and setting up the camera again. I just about managed to put it on the bridge railing and pull the trigger, when the police car moved through the picture. Note the reflections of the police car’s blue light on the car roof and how the camera removes all traces of the car body.